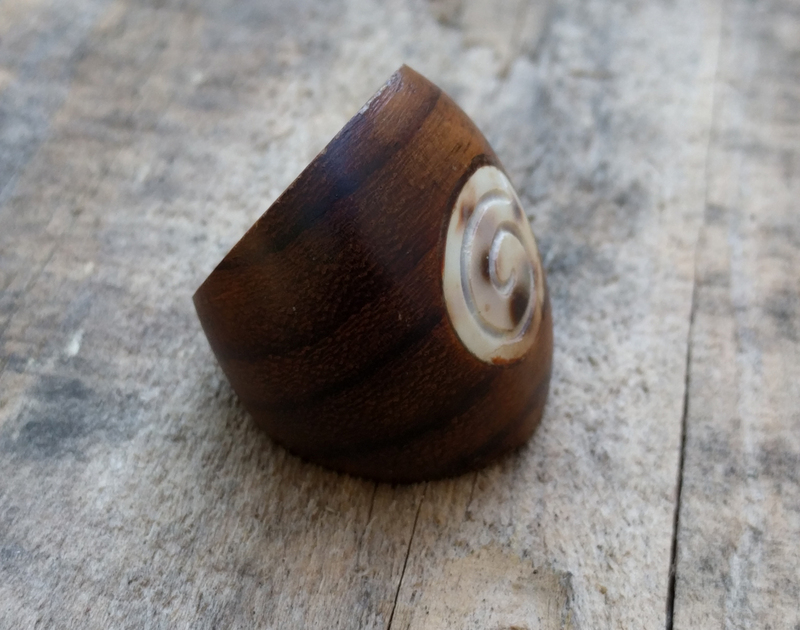 The sea and the land come together to form these beautiful large circle cut shell dome statement rings. 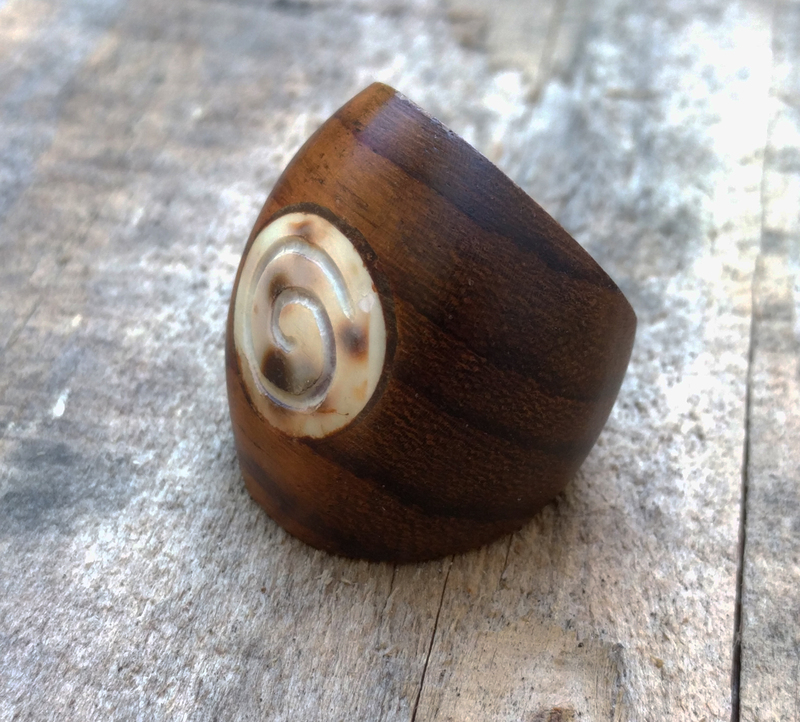 The ring is carved from Sono wood and accented with a circular shell piece which has a spiral pattern that was designed by the mollusk who created the shell. 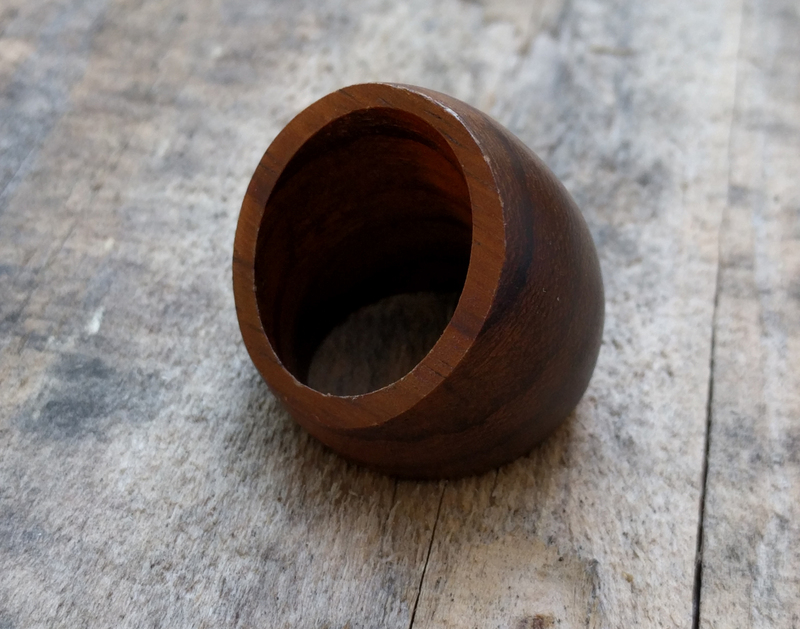 Our rings are carved and combined with natural materials to enhance the natural texture of wood grain creating a beautiful piece of organic jewelry.